President Muhammadu Buhari yesterday won his polling unit with a landslide. Buhari’s All Progressive Congress (APC) scored 523 votes while the presidential candidate of the PDP, Atiku Abubakar got only three votes. However, the president’s party’s candidate for Katsina North senatorial district, incumbent Baba-Ahmad Kaita lost the unit to the candidate of Accord Party, Lawal Nalado. Mr Nalado scored 263 while Mr Kaita scored 248 votes. The candidate of the major opposition party, the PDP, Usman Mani scored only two votes. 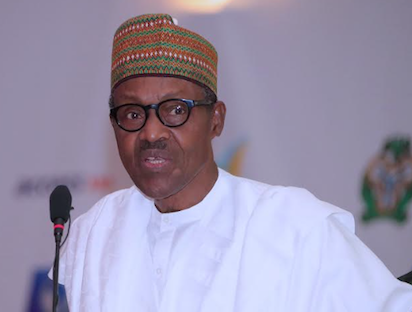 Meanwhile, President Buhari has said he is confident of being reelected at the end of the presidential election. He spoke on Saturday in Daura after casting his votes for the presidential and National Assembly polls. The President, accompanied by his wife, Aisha, arrived the Sarkin Yara ward 003 unit at 8am, where the duo cast their votes. President Muhammadu Buhari on Monday appointed his wife, Aisha, and the wife of the Vice-President, Mrs Dolapo Osinbajo, to serve on the Presidential Advisory Committee on the Elimination of Drug Abuse in the country. Giving his reason for appointing his wife and Dolapo, the President said both women had demonstrated commitment to eradicating drug abuse in the country. He explained, “The appointment of the wives of the President and the Vice-President, as well as the chairpersons of the North and South Governors’ Wives Forums as members of this committee, is in recognition of their concerted efforts to the course of eradicating the menace of drug abuse from our society. A Ministerial Steering Committee chaired by the Secretary to the Government of the Federation, Boss Mustapha, was also inaugurated on Monday by the President. Speaking while inaugurating both committees at the Presidential Villa, Buhari acknowledged that drug abuse had grown to become a major public health problem in the country, requiring very urgent attention. He noted that from being a transit nation five years ago, Nigeria had effectively become a user country today. On the abuse of Codeine syrup, for example, he cited the alarming reports on abuses in states like Kano where up to 3million bottles were consumed every 24 hours. “Drug and alcohol abuse are also major occupational hazards among Nigerian workers, professionals, notably drivers, which contribute to making Nigerian roads particularly dangerous. “The drugs that are commonly abused include but not limited to alcohol, cigarettes, caffeine, Tramadol, codeine, etc. Mrs Buhari made the clarification in a message she sent to the 2017 Vanguard Awards where she was honoured as Vanguard Personality of the Year 2017. Mrs Buhari said she was brought up to stand by the truth and that was how she has been living her life. “I need to state that my position as a result of my sense of justice and not confrontation or disrespect. I was brought up to stand by the truth and this is how I have always been. Mrs Buhari had in the 2016 interview with BBC warned her husband that she might not back him at the 2019 election unless he shakes up his government. Mrs Buhari had also said her husband had not told her whether he would contest the 2019 election as of the time of the interview. 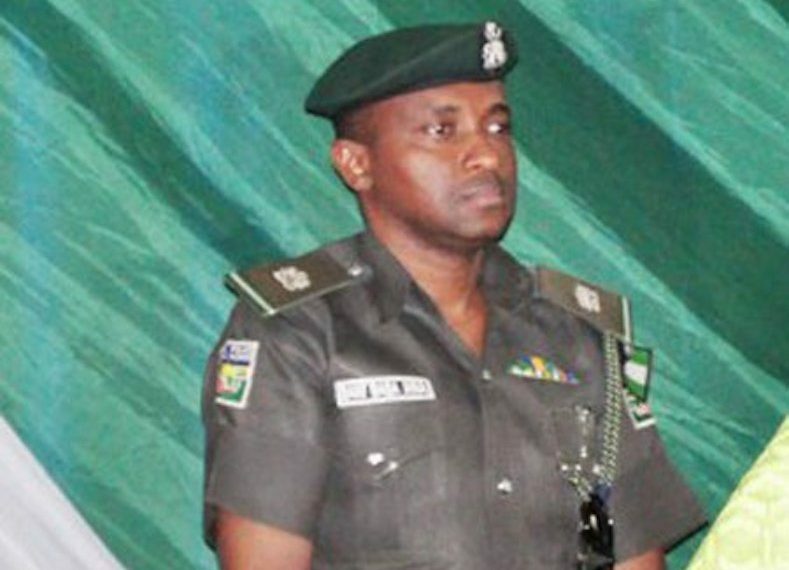 Twenty-four hours after he alleged that Inspector General of Police (IGP) Ibrahim Idris, gave two SUVs to First Lady, Aisha Buhari, Senator Isah Hamma Misau, claimed, yesterday, the IGP was behind the leaked documents. Misau told newsmen his comment on the SUVs stemmed from court documents filed in the charge against him, by the IGP and the Attorney-General of the Federation (AGF) and Minister of Justice, Mr Abubakar Malami. Misau accused the IGP of blackmailing the president’s wife and other high-ranking personalities by deliberately and unethically exposing their correspondences. “It was, indeed, a shock to me as I am sure it is to other Nigerians, to see such private and confidential documents, with all the minutes of the president and other top government officials carelessly displayed in the public by the Inspector General of Police in manifest breach of official secrecy. The motive for displaying these documents is no doubt suspicious given that they have little or no bearing on the matter of inappropriate practices within the Police. My submission before the Senate committee was simply to call the attention of members as well as the general public to how the IGP is unethically dropping names through filing of secret documents so as to rope these top ranking innocent personalities into the case. Misau had alleged during his appearance before the Senate Ad Hoc committee probing bribery allegations against the IGP, that he had “some contract papers that the IGP himself submitted to the court, where the first lady, through her Aide-de-Camp requested a Toyota Hiace and a Sienna jeep. ‘’The same day that the ADC wrote, the IG minuted that she should be given two jeeps. And, it is not part of the appropriation. If you look at the appropriation, there is nowhere they said the first lady should be given two jeeps’’ he declared. Regardless, the Nigeria Police Force has denied Misau’s allegations. In a statement, yesterday, the police said Misau’s allegations were baseless and absolutely untrue and outright falsehood. “The Nigeria Police Force categorically wishes to state that all the allegations made by Misau against the Inspector General of Police and the wife of the president, of buying two jeeps for the president’s wife as reported in some media are baseless, untrue and done in bad faith to misinform and mislead the public. ‘’It is pertinent to state that at no time did the wife of the President, Mrs Aishat Buhari requested directly or indirectly for vehicles for her use from the IGP and no vehicle, whether Jeep or SUV, has ever been given for her personal use. A copy of the document filed in court by the IGP and the AGF, which was sighted, showed that the request for a Sienna vehicle and a Toyota Hiace Bus for the first lady was indeed addressed to Ibrahim Idris and signed by the ADC to the President’s wife, Sani Baba-Inna. The request which was contained in a letter which was dated January 17, 2017 was officially approved the following day by the IGP in a handwritten minute approving the purchase of two jeeps. Wife of President Muhammadu Buhari, Aisha, left Nigeria, yesterday, for the United Kingdom, 23 days after her husband left for further medical consultations. 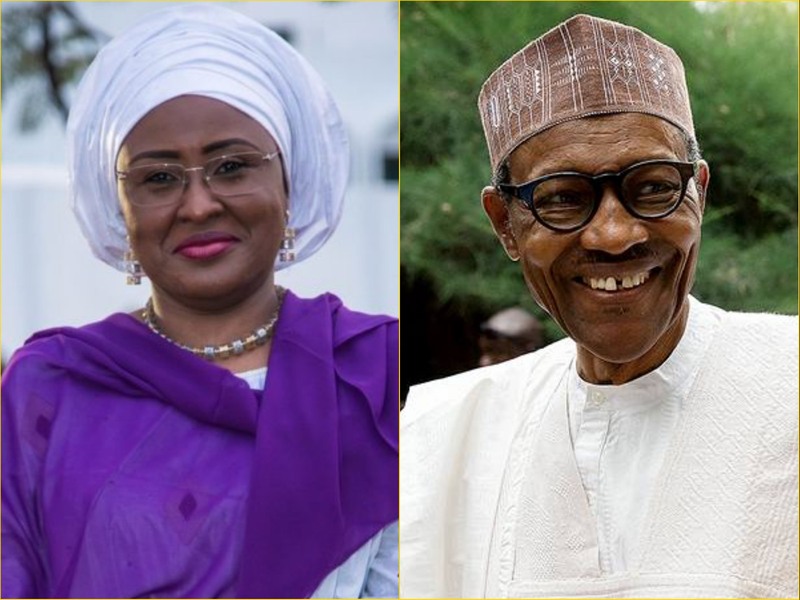 In a one paragraph statement, accompanied by photographs of Aisha, arriving Nnamdi Azikiwe International Airport, Abuja, her Special Assistant on Media and Publicity, Adebisi Olumide-Ajayi, said the First lady is off to spend sometime with her husband. Buhari travelled for further medical consultations on May 7, 2017 while his wife has been busy with her pet project, Future Assured in the North East, with the focus on empowering women, the girl-child education and providing care for internally displaced persons in the North East. The president left Nigeria on January 19, 2017, on medical vacation to London and returned after 49 days. On his return, the president disclosed he had never been that sick to the point where he needed blood transfusion. Buhari also said he would go back abroad for further medical treatment, which he did 23 days ago. This time around, the president said he would not entertain visitors as he recuperates. Fayose, who addressed newsmen in Lagos, yesterday, said being an avowed corruption fighter, Buhari has a moral burden to save Nigeria from needless stagnation arising from his heath challenges that have impacted negatively on his performance. The governor said fighting corruption is not limited to discovering large sums of money but doing the right thing at the right time and opined that taking a bow when necessary is an indication of being morally upright. Fayose appraised Buhari’s administration in two years and said the All Progressives Congress-led Federal Government has failed to deliver on its promises. “So far, the APC-led federal government has been a government of misadventure and Nigerians are worse for it. They say they are fighting corruption but are shielding corrupt elements within their fold. “Members of the opposition defect to the APC for protection. He can do us the great help by resigning. Not resigning bothers on his integrity. His absence allows others to suppress and oppress others and that means he is allowing others to suppress their fellow human beings. There are many governments in one and they are clueless. We need an active president going by our numerous challenges. How long will Nigerians wait for an incapacitated president? “We cannot wait again for somebody to hold us to ransom. I don’t have any bad blood against Buhari. Osinbajo has no powers without the president. He owes us the duty to tell us the state of his health,” the governor said. On the performance of the economy, Fayose said it had gone from bad to worse and noted that the middle class has been wiped off. “There is no middle class any more. Economic indicators are not cheery. They borrow money on daily basis and commit funds that ought to accrue to all tiers of government to servicing the loans,” he added. On the much-touted rescue of Chibok girls from Boko Haram, Fayose reiterated that the whole set-up was blackmail against former President Goodluck Jonathan, and added that, one day, the true story will be revealed. On insecurity, the governor said more people have been killed by insurgents and herdsmen than in any other period in Nigeria’s history of Nigeria.